DAF Trucks broke all records in 2018. Thanks to a historically high market share of 16.6%, DAF has grown to be Europe’s second largest brand in the heavy truck (16+ tonnes) segment. DAF is the European market leader in the important tractor-unit segment, with a market share of no less than 19.8%. The European market for trucks of 16+ tonnes amounted to almost 319,000 trucks in 2018 compared to 306,000 in 2017. “The European economy has been very strong over the past year. This resulted in a high demand for transportation with a corresponding requirement for trucks”, says Harry Wolters, President DAF Trucks. As in previous years, DAF was the market leader in the heavy segment in 2018 in the Netherlands (32.0%), the United Kingdom (26.5%), Poland (23.2%) and Hungary (32.6%). The Dutch truck manufacturer was also the market leader in Belgium (22.1%), Bulgaria (19.9%) and the Czech Republic (19.5%). In Germany, Europe’s largest truck market, DAF was once again the largest import brand, with a market share of 12.3%. The total European market for light trucks (6-16 tonnes) decreased slightly from 52,500 units in 2017 to just under 52,000 in 2018. DAF held a 9.0% market share in this segment. DAF is the market leader in the light trucks class in both the United Kingdom (32.0%) and in Ireland (18.2%). DAF sold 8,700 trucks outside the European Union. DAF’s market leadership continued in Taiwan with the launch of the new generation of DAF Euro 6 trucks. Market share grew in Israel, Belarus and South Africa and DAF achieved record sales in Indonesia. 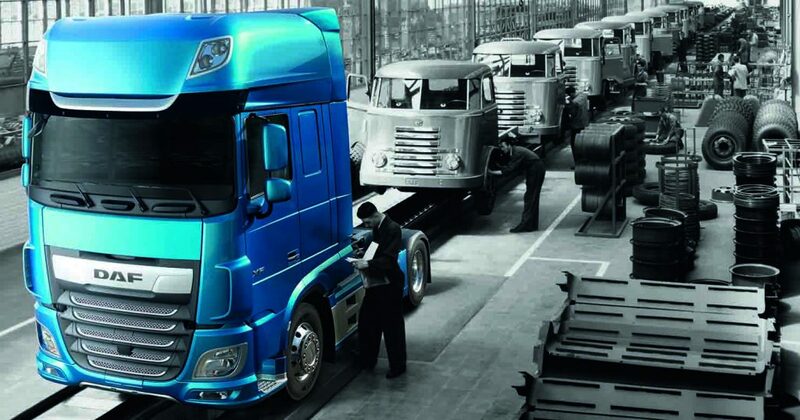 The DAF CF85 prime mover model began local assembly at the PACCAR Australia factory. DAF sold over 3,500 PACCAR engines to leading manufacturers of coaches, buses and special vehicles as well as expanding engine sales into Singapore and Myanmar.